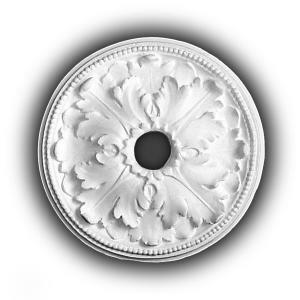 A ceiling medallion is the central focus of a ceiling, usually in the form of an ornate rosette, from which, if there is one, a chandelier hangs. Most are round, some square or oval. These are our smallest medallions, ranging from approximately 7 to 20 inches. 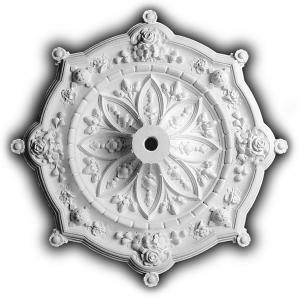 These are most frequently used in powder rooms, hallways, kitchens, or small bedrooms. 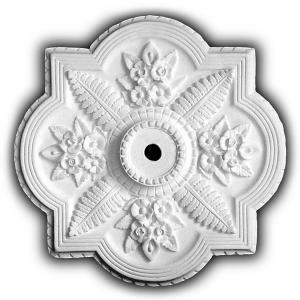 These are all one piece medallions, approximately 20 – 26 inches in diameter, although there are a few larger one-piecers in this group. Browse here to outfit bedrooms and more modest parlor/living rooms. The Majestics. 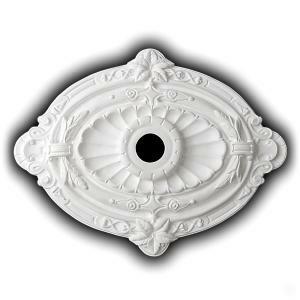 These beauties are splendid, and because of their size, are fabricated as a multi-piece set - usually a central medallion surrounded by a three or four-part wreath. It takes a little more effort to install them, but the resulting grandeur is worth it!